A business plan is not just about scribbling ideas on a notepad, but it requires a lot more to transform it into reality. There’s a lot of detailed planning that’s involved in a new business. It requires you to sweat out a lot than you thought and many pitfalls than expected. There are many who started with great ideas, but could never go beyond it. This is because the next step was not just challenging, but also requires a lot of efforts, for instance, writing a logical business plan. On the other hand, moving from a notepad idea to a proper and detailed plan all of a sudden can be pretty overwhelming more so, for the first timers. What you would need here is a properly written business plan to help you communicate your vision clearly. This is to engage the right audience and resources so that you can apply your idea. A right business plan is all about how to acquire new clients and customers, who will manage the business, and how to raise the entry level venture capital. So, basically you need a business plan to receive funding or to keep records for the company’s planned direction. Given that the entire process is so challenging, you would need the assistance of an expert business planning software which will not just help you create a solid business plan, but also guide you through the process structure. We have shortlisted a few such programs to help you start off. here’s have a look. Claiming to have served more than 400,000 companies in the past 5 years, this business planning software comes with a simple pricing structure. It has only one plan to choose from. Given their 15 years’ experience in the field, they provide a simple and clutter free interface, that can help you develop professional looking business plans. What we especially love is their live dashboard that can keep a track of the daily performance. Bonus – more than 500 sample plans to spruce up your creativity especially suitable for those with a writer’s block. Bizplain claims to have served over 30,000 startup entrepreneurs from the Startups.co platform. What’s interesting about their software is that they make use of a managed creator that can split the project into fragments of components that get trailed by a Progress Tracker. The skilled instructions at every step of the process includes templates to be used and completed while the simple alliance of visuals on the way. You also get additional learning resources offered by Bizplan Academy that help you get a hang of the entire process much easily. For added assistance, you can seek their expert consultation service by finance professionals worth $999. 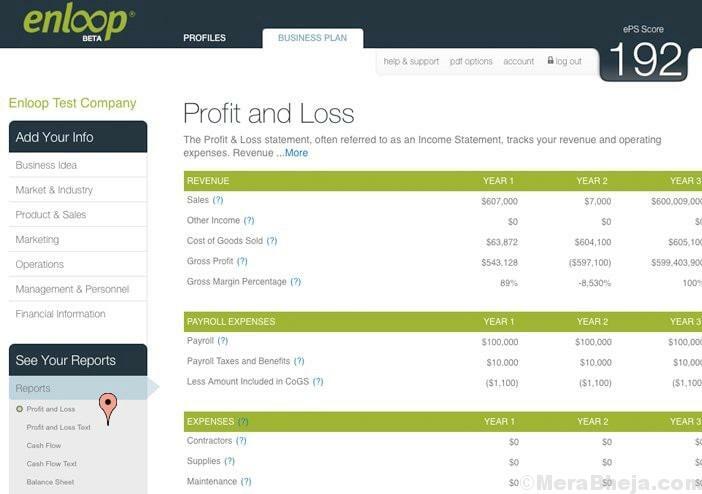 Enloop is the only business planning software around with a free version. It makes for a great choice for those who are keen to give the software a try before you buy. 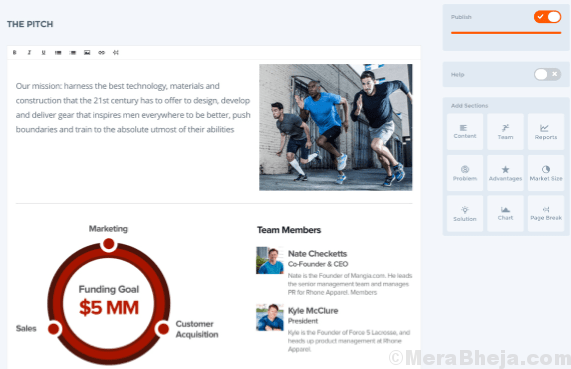 Among its features are – the Enloop performance score, sample plans that are highly customizable, and auto-write function for structured business plan. One of the least expensive tools in the category, you can also upgrade it for advanced tools. 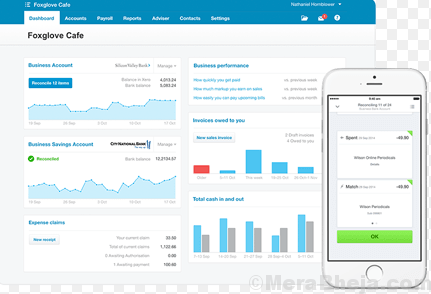 From inviting your team accountant and business partners to view and edit your plan, allowing you to choose from more than 100 currency symbols from your country, or analysing your forecasted performance by generating 16 critical financial ratios, to automatically generated financial reports, the program offers a lot more for free. There’s a lot beyond a business plan, and PlanGuru provides you just that with detailed business forecasting and analysis. They claim to serve thousands of businesses, non-profit organizations and their consultants with making better decisions using these proven processes. Among its several features are budgeting and forecasting analysis – that helps you set financial goals and allocates accountability for output, rolling forecast – that understands the full significance of your decisions made on cash and profitability, before you earn them, and strategic planning – that establishes a long-term vision for your business while making everyone work in the single direction. Its advantages lie in the fact that it forecasts all three financial statements, creates an analysis in the shortest possible time, offers endless budgeting flexibility, make sound decisions using scenario analysis, and gain insight on different aspects of business that were earlier not attainable. EquityNet is a software that does not just focus on creating business plans, but also finds investors for those looking to invest. It’s a bundled tool for business planning that’s robust and can offer that much needed speed to the startups to raise funds. Its main focus is creating a network that can help raise and offer equity. The free version allows you to enter a business and funding profile, develop a guided business strategy, and view the profiles of the investors. While it may not provide that in-depth analysis like its adversaries, the free version might be just good enough for you. EquityNet allows you to publish your business profile and enhance your business plan, review the options for optimal funding, look for investors, share your plan with them and join in, and acquire funds quickly. 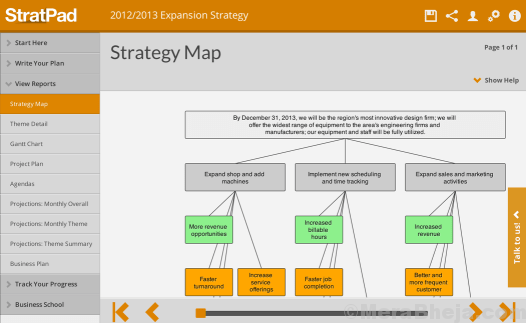 StratPad is one of the business planning software in the category that comes with a free version. It is being used by more than 100, 000 business across the world. It not just offers top-quality business planning software, but you can also learn strategies on how to improve the performance of your business, watch video tutorials on how to reap profits from your business, download the entire tool kit designed for small businesses, and even connect with professional business trainers, bookkeepers, lenders and other business experts. It creates a coherent business plan free of cost and improve your business performance with its user-friendly cloud-based business planning program. It creates your business plan in less than 24 hours with a step-by-step approach that straightforward and realistic for small businesses and startups, creates financial forecasts in minutes by asking you critical questions related to your business and by creating all the required financial reports with just a few numbers, and boost cashflow by raising a request for funding. System Requirements: Windows 8, 10 64 bits. Business Sorter provides a business planning service that speeds up the business planning while making it easier. It claims to roll out a business plan within two hours using a unique 272 b card slot mechanism that involves several common situations. The best part about this card system is that it includes the facility of rewording, or add card to the already extensive card deck. So, even if there is no pre-designed card for your situation, you need not worry. What’s interesting is that this program offers learning resources in form of PDFs and word files instead of video tutorials. Although it makes it harder to comprehend by some learners, the positive side is, it’s quick to access. Atlas Business Solutions Ultimate Business Plan comes with a pretty intuitive interface that walks you through the entire process of creating a business plan along with financial forecast. What we like about it is its advanced features despite its capability of just helping the beginner level entrepreneur also. Serving over 250,000 business and entrepreneurs, it offers one of the fastest and the simplest ways to write a business plan. Among its features are a step-by-step and easy approach to create business plan quick and simple, creating forecasted Cash Plans, Financial Ratios, Balance Sheets, P&Ls, etc. in minutes, guiding through each step in easy, understandable English instructions, suggestions and how to tips, covering over 1000 listed business plan samples and 25 complete samples to get you started, several resources for business startups, and compatibility with MS Word, Excel, QuickBooks and Adobe PDF. IPlanner is hands down the cheapest business planning software among all as it allows you to chalk out a professional looking business plan in just a few dollars per month. However, it does not compromise with the features and offers some good functionalities to try. Whether you are starting a new project or a business, this program is just what you need to start with. The software is functional since 2007 and has been assisting entrepreneurs boost their business. You can also use this tool in combination with a Mentor to analyse the project online and in real-time. So, if you are raising funds for start-up growth, trying to get a better grasp of risks and manage them, or wish to pass on the company strategy and business model to the team, Iplanner helps you achieve the same. With Iplanner you get endless team members and collaboration, separate pricing model in comparison to packages, and rebates especially for serial entrepreneurs and business trainers. OnePlace intends to be known as a business plan creation software and it creates a base for that quite effectively. It is useful for collaborations and planning how to allocate and keep a check on projects and tasks. However, it’s more focused on project management instead of writing business plan. What we like about the software is that the collaborative approach to business planning is team based, it offers the facility to get outside parties via the portal, and that it offers comprehensive project and task management. The Business Plan Shop offers a fairly good software for writing a business plan, however, it’s especially suitable for people with a know-how about documentation. It’s a perfect solution for those who need their company’s business plans to cover non-standard items and who already know what to communicate. Among its biggest advantages is the fact that it offers plenty of opportunity to customize the business plan elements. So, create a robust business plan with one of these professional business planning software and boost your business for optimum profitability. Those who need assistance for their small business, goSmallbiz works perfect. This program is more into guidance and consulting. 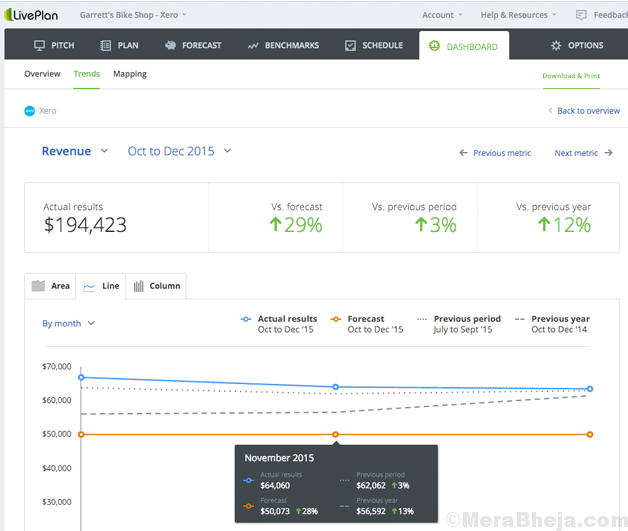 It offers a user-friendly platform for business planning that functions with the help of step-by-step templates along with in-built suggestion modules. It comes with a wide range of services. Its services include unlimited business consultation, sales & marketing that includes CRM with email marketing, human resources, library for legal resources, tax & accounting, and online learning. The software is suitable for entrepreneur, sole proprietor, or a small business owner.